I wish I knew more about the flora in Florida. 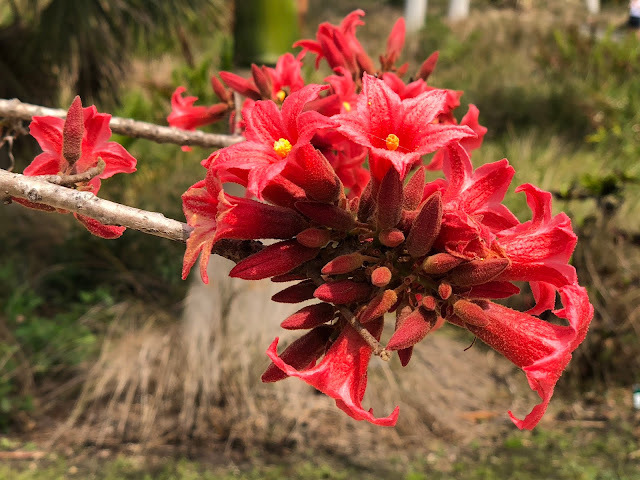 You need to get a field guide to Florida flora and compare the pics! These are lovely, Jack! Just had to stop by. Such a pretty colour, I loved seeing your photographs. The flora sure is different down here than Up North, isn't it?! Lovely red flowers. That's the whole point of the state. Having grown up around concrete and asphalt, my botanical knowledge is just as bad. I don't know either of these...but then, I'm scarcely tropical. A field guide is good advice. Yeah. I'm in the field guide camp. I just happily rediscovered my copy of a Pacific Northwest guide.